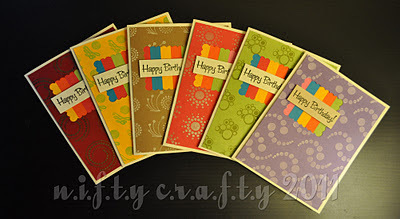 n.i.f.t.y c.r.a.f.t.y: Colorful Birthday Cards! Hey there...does someone have a birthday coming up? 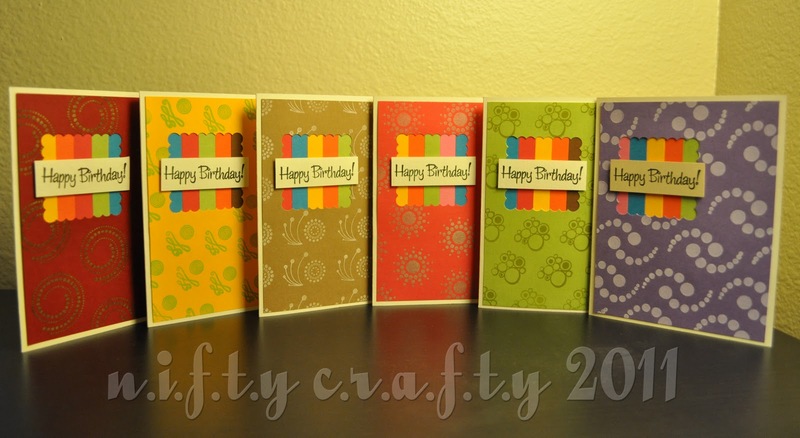 Well...I tried something new here.. not a new concept...however, it's new for me...cards from scraps! 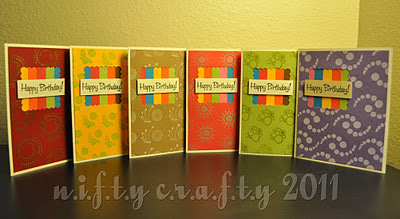 It's actually quite simple...and I am totally addicted to using scraps to make card. 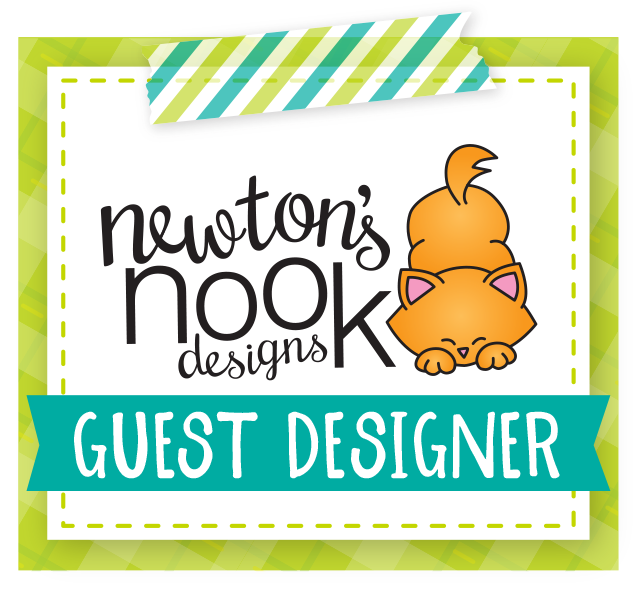 When it comes to designing a card...I tend to think a lot! I plan before making a single cut of any paper. This time, I was little conscious on saving my time...and entered the scrap pile :) My idea was to use scraps along with simple cardstock bases and limit extra embellishments to finish up each card. Instead of using patterned papers...I used clear stamps to decorate each card. Thanks for visiting Nifty Crafty!